December | 2013 | Pedal Dad! 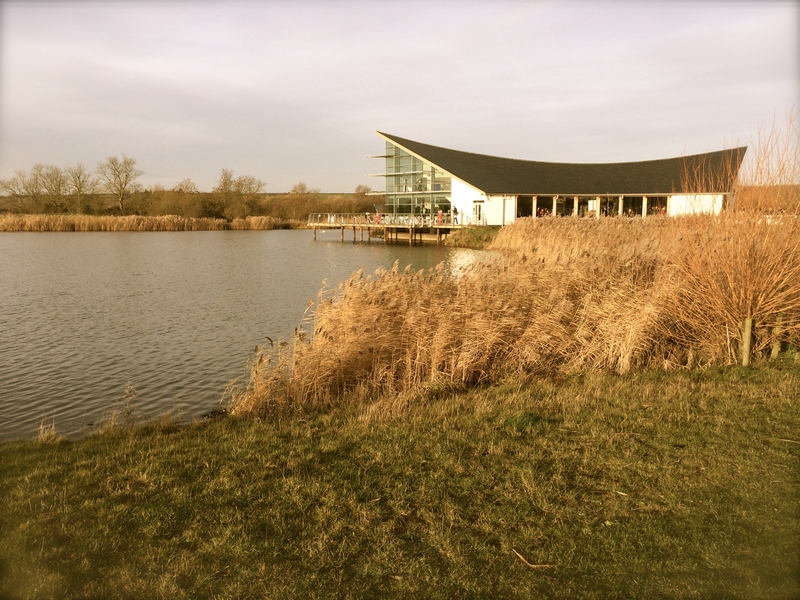 On Sunday I took part in a half marathon at the lovely setting of Stanwick Lakes in Northamptonshire and it was the worst event I have ever participated in. The event was billed as a 5k, 10k and half marathon Santa Run event. Half marathons are thin on the ground in December but the distance fitted well with my marathon training so I’d entered the race after checking that it was OK to do it in normal running gear (didn’t fancy 13 miles with one of those beards on!). You go in to these events knowing that there will be a mixture of abilities and motivations but these usually iron themselves out after the first mile of the race, so I was quite excited to set off on my first race since entering the marathon. However when the race was due to start, my excitement waned pretty quickly and the frustrations began. The race was late starting because arrows had been removed. The organisers knew this was going to happen because they stated that it had happened in previous events and emailed asking for more volunteers to marshal the event a few days earlier. For the £19 entrance fee, I expect there to be sufficient marshals to ensure that the race is not delayed because of a simple issue such as this. We eventually started over 20 minutes late but the course was flat and pleasantly tracked the lakes along cinder paths. It was a two lap “out-and-back” course and drinks stations were supposed to be at the turn around point and then half way. However the only drinks station was on the start/finish line which meant we were provided only one drink for the entire race! Isn’t that irresponsible in a half marathon? It became more ridiculous the drink station was located on the finish line (where there was completely no filtering or organisation) so it was entirely surrounded by 5k & 10k runners who had finished. This meant I had to stop ask people to excuse me before being able to get to the drinks. losing both time and momentum. Throughout the course there was no distance marking or visible timing at any stage (which I regard as lazy as well as amateurish). When I completed the first lap in 38 minutes I started to suspect that there may be issues with the distance of the race. I would have been delighted with my time of 1:23 to complete the half marathon because it would have been a PB by 15 minutes! But the race was over 2 miles short of a half marathon. Isn’t that simply unforgivable? You accept that some events may be short or long by a couple of hundred yards, but over 2 miles short is plain incompetence. It is not a half marathon and shouldn’t be advertised as such!! So, I spent £19 to do an 11 mile run supported by one or two marshals and supplied with half a cup of water. I claimed my medal for the kids but others were refusing them on account of feeling cheated out of running a half marathon. I can’t anticipate that the race will be in existence in future years, but it is organised by an outfit called Ultramarathon and their other events are found on the website http://www.ultramarathon.org.uk/santa.html. I’ve been in contact to give feedback but as yet have heard nothing in response, suffice to say that I’ll not be taking part in any more of their events and I’d urge everyone else to give them a wide berth too! On a positive note, I am delighted to have discovered Stanwick Lakes. It looks ideal place to go with the kids on the bikes when the weather picks up a bit. 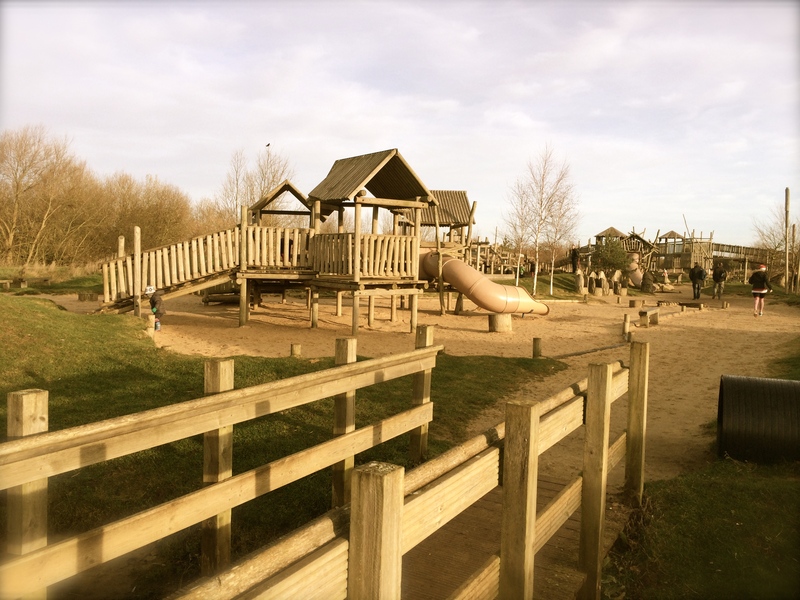 When they’re done with cycling on the flat paths, the little ones would also enjoy an hour on the huge adventure playground that looks like it caters for all ages. There’s a well equipped shop and cafe that is ideal for a warming soup or cuppa and in the summer I expect we’ll be back to enjoy a day out. Bang!! Running in to the wall. Phew – what a roller coast the last week or so has been. The response to my last blog post was simply stunning. A few of us has a deeply, deeply emotional weekend as we read peoples responses to the post on Facebook, email, and in the Just Giving pages. The pledges made to Mind so far have knocked me sideways. As I write this, nearly £700 has been raised online alone. All sorts of people have sponsored: friends of mine, friends of Paul, friends of Sarah and even some people none of us have ever met! The impact of such generosity was firstly extremely satisfying, then slightly overwhelming, and then confusing. Then my head hit the wall. It was during a highly motivated 14 miles that I started to get my head around the sponsorship thing. Some people are sponsoring me because they know me and want to support me. Others are supporting the charity and the cause. But most people are sponsoring because of the sense of affection and loss they still feel about Paul and their admiration for Sarah. Anyhow, if anyone who has sponsored me is reading this: Thank You. In fact, in many cases I’ve stopped thinking of the generous donations as sponsorship for my run. Instead I think people are using the opportunity to sponsor as a tangible way of showing their ongoing grief and commitment to support. The results are tremendous and more overwhelming than the amount of money raised so far. Lot’s of people still feel the same way that I do. I know they do because I read what all of them have written on the Just Giving pages. I’ve had contact with a number of people following their donations and something that will stay with me forever came from one of Pauls friends who I only met a couple of times. He said “what happened with Paul changed us all forever”. Yes. Yes it did. That makes me think about my grief and the ongoing grief demonstrated by so many generous people who reacted my last blog. We changed. We’re all trying to come to terms with the loss we feel, but maybe we should also be coming to terms that we’ve changed. That gap that Paul left will never be filled – it’s just a Paul sized gap that we’ll all carry around with us for ever more. Because we’ve changed. On the training front things haven’t gone too well. After the successful 14 miles I’ve had a horrible cold and taken a week off training. I was back on the bike last night and will be running 10k tomorrow before resting up for a half marathon at Stanwick Lakes on Sunday…. watch this space to see how I get on.